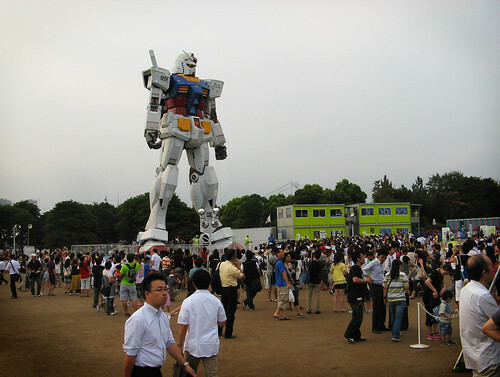 Gundam is a modern day legendry robotic hero of animated Japanese TV mega-series called Mobile Suit Gundam. It soon became popular all over the World and is a popular toy also. 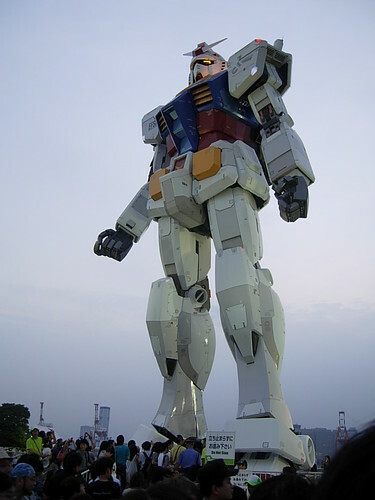 The RX-78 Gundam is the iconic Gundam design, introduced in 1979. 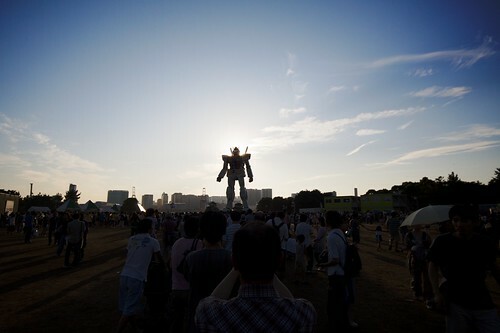 As part of the 30th Anniversary of the Gundam series, a giant life size statue was installed on July 11, 2009 in the Shiokaze Park, Odaiba island, Tokyo, Japan. 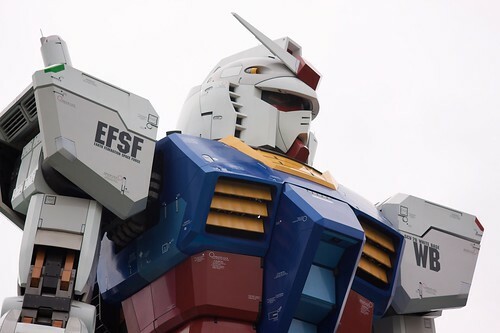 As the imagery is old, Gundam is not yet visible in Google Earth. 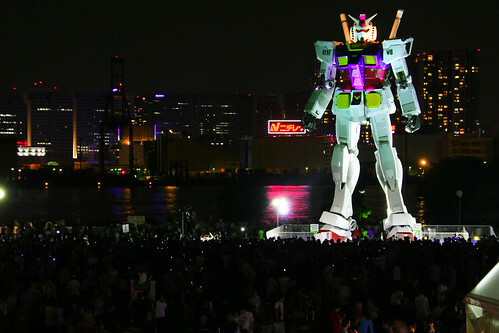 I also understand that this Giant Gundam has since been dismantled. What a pity if this is true!